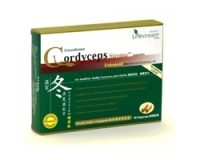 For the treatment and prevention of skin fungal infection. Daktarin Powder is effective in treating a wide range of skin fungal infection and can be used in combination with Daktarin cream. 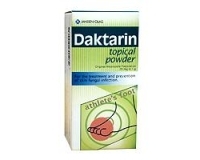 Daktarin Powder is recommended for treating fungal infection between the fingers and toes (Athletes Foot) and diaper rash in babies. Apply Daktarin cream and/or powder every day. Do not stop using the medicine until at least a week after all symptoms have disappeared. Depending on the type and extent of the infection, the treatment may last 2 to 6 weeks. Wash the infected skin and dry it well. Rub Daktarin gently into the skin with your finger tips. Do not treat the infected part alone, but apply the product also to the area around it. Store at 15 to 30 degree Celsius. Daktarin Powder should be applied 2 times a day to the affected area. If you are using Daktarin Cream at the same time, then, apply the powder once a day and the cream once a day. Daktarin Powder can be used for prevention by dedging in socks and shoes once a day. Wash your hands carefully after applying the cream or powder. This is particularly important to avoid transferring the germs of the infected skin to other parts of the body or to other people. For external use only. Keep away from children.